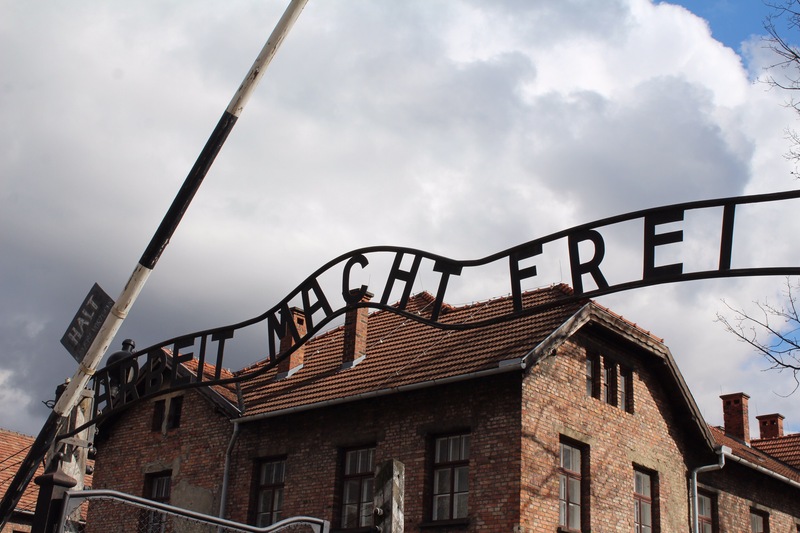 Visiting the Camps: Auschwitz I – Watts up, world? Today we started our tours of the camps. We started today with Auschwitz I. Before coming here, I had no idea that Auschwitz was broken into three parts. Auschwitz I is the main camp of Auschwitz, which is fairly small, and was the camp that we toured today. Auschwitz II is Birkenau, which is twenty times the size of Auschwitz I, and was the main death camp during the Holocaust. Auschwitz III was called Monowitz, but is no longer standing. As we walked into the camp, we were immediately met with the famous “Arbeit Macht Frei” sign. It was at that point that the entire experience felt real. I have seen photos and videos of that sign my whole life, and seeing it in person took my breath away. That initial reaction was mirrored throughout my entire tour. The severity of these camps is so hard to digest, and as someone who enjoys learning about the war, being in the physical space that so many horrific acts took place is even harder to digest. 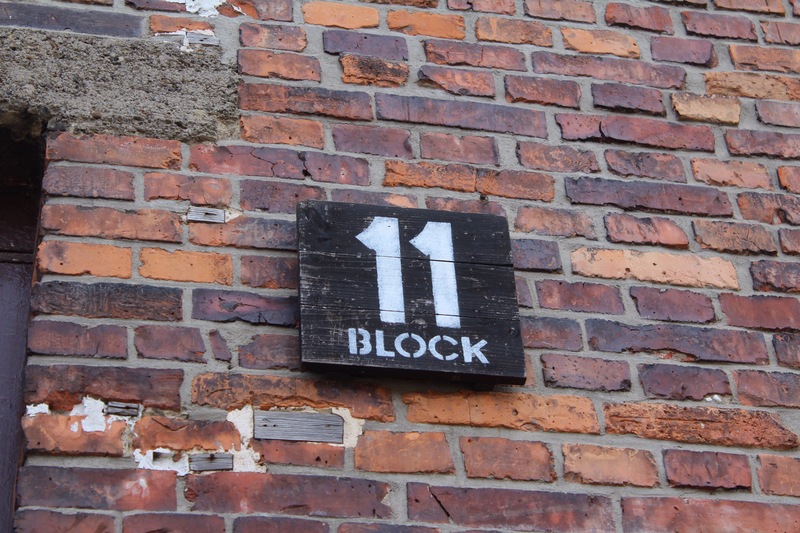 During our tour, we were told about the experiments that took place in Block 11. Our tour guide told us of one woman who had reproductive sterilization experiments done on her while she was there. She met a man while she was at the camp, and after they were liberated, he wanted to get married but she feared that after those experiments, she would not be able to have children. They ended up getting married anyway, and after a while she fell sick. She thought that she caught something from one of the older folks they had been living with at the time, but it was. She got pregnant. Our entire tour really focused on the lives of the people that were imprisoned. The museum has video footage of people enjoying their lives before the war and now they lived during that time – including so much that we are never taught in school. The camp had an orchestra, the Germans saved over seven tons of women’s hair to make into textiles, people bought fake train tickets that took them to Auschwitz instead of a different location… just to name a few. It would be impossible to truly give the time to talk about all of the information that we were told today. 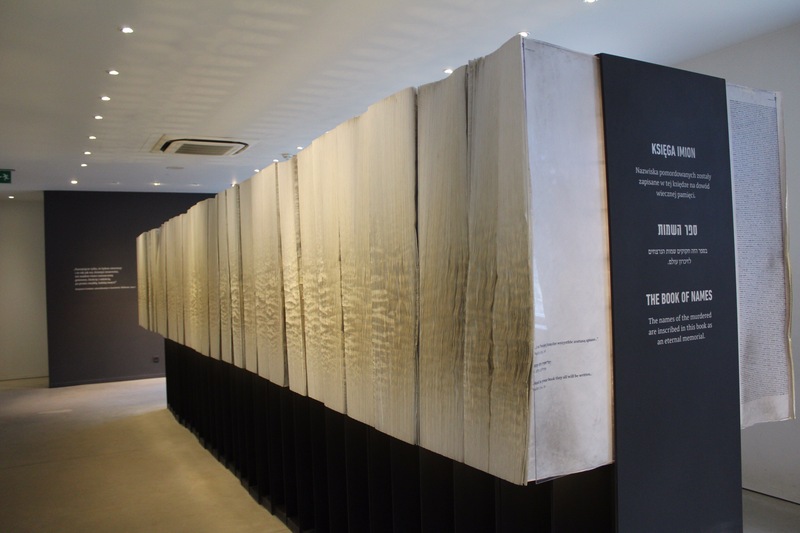 The part of the tour that moved me the most during the tour was a room that had “The Book of Names.” This book holds the names of four million people that were killed during the Holocaust. There are still two million left to be documented, but the size of book at four million already takes up the size of a room. After our tour, we visited the Labyrinth by Marian Kołodziej. 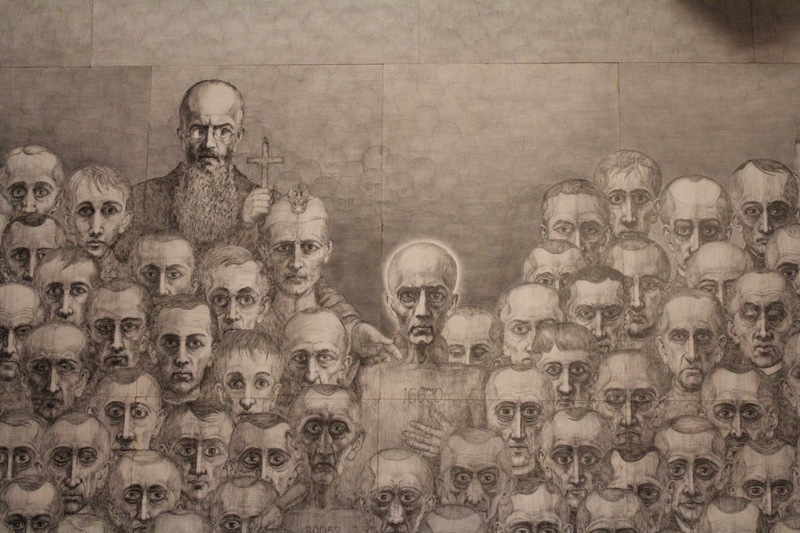 Beginning his artwork at the age of 70, his work centers around his experiences at Auschwitz. Many of his pieces feature a man with his inmate number, 432 and the internal and external demons he dealt with during his time in the camp. All of his pieces were done within fourteen years, until he passed away. We ended our day at the Center for Dialogue and Prayer (CDiM), where Sister Mary lead us through discussion and internal thought about what we had been experiencing throughout the day. She was able to help us understand what the community looks like now and how the CDiM helps visitors, students, and survivors of all or no religious beliefs understand their emotions and what they are experiencing during their visits to the camps. Our time with Sister Mary was a very calming and much needed end to an emotional day. Autumn, Betsy, and I had another incredible experience before leaving the CDiM. We had all purchased a book called “And Your Conscience Never Haunted You?” by Father Manfred Deselaers at Auschwitz. Father Deselaers works at the CDiM, and after we finished our session with Sister Mary, who was waiting in the hall but Father Deselaers. After Betsy asked, Father Deselaers was willing to sign all of our books that we had purchased and took a few minutes to get to know us before we left. Tomorrow we will tour Auschwitz-Birkenau, visit exhibits from other countries during the war individually (my country is Hungary), and Skype with another Penn State group that is currently studying in South Africa.